The first ENOC Bureau meeting for 2018 took place on 11-12 January 2018 in the premises of the Council of Europe in Strasbourg where the ENOC Secretariat is based since 2008. Among others, the Bureau discussed and agreed on a number of crucial issues for the Network, the ENOC work plan for the year of 2018 included. 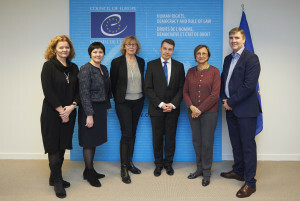 Bureau members also exchanged views on how to further and better engage with the Council of Europe (CoE), the EU institutions and the Non-Governmental sector on specific child rights related issues. 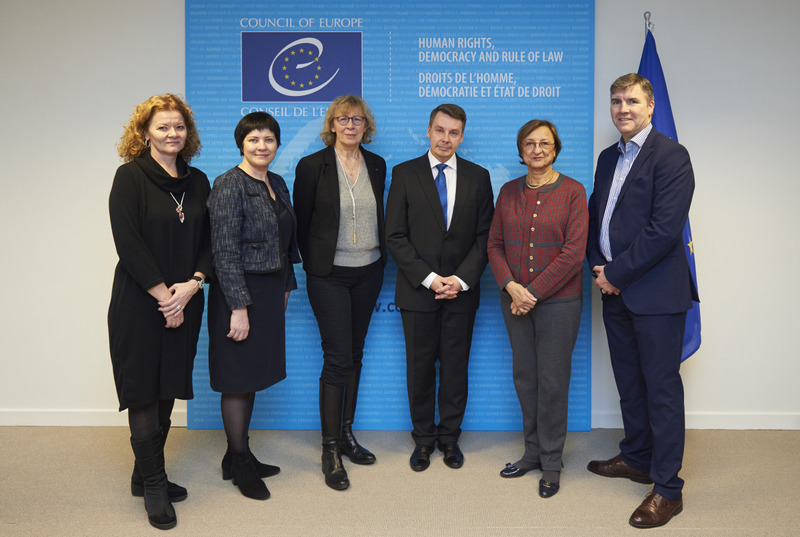 On this occasion, the ENOC Bureau met with Ms. Gabriella Battaini-Dragoni, Council of Europe Deputy Secretary-General, and Ms. Regina Jensdottir, Head of the Council of Europe Children’s Rights Division, to explore further areas of mutual cooperation and coordination. Council of Europe authorities confirmed the critical role played by ENOC and individual ENOC members in the drafting and implementation of the CoE Strategy for the Rights of the Child and other legal and standard-setting activities such as the CoE Guidelines on child-friendly justice, on child friendly health services or on child participation. ENOC and especially some ENOC members also closely collaborates on the field with the Special Representative of the CoE Secretary General on Migration and Refugees to keep a focus on the situation of migrant children (whether unaccompanied or not). ENOC has an observer status in a number of CoE Committees whose work is very much relevant to ENOC’s field of action. When it comes to near future plans of cooperation, Council of Europe authorities confirmed their interest in involving ENOC and its members in the mid-term review of the CoE Strategy for the Rights of the Child, planned for June 2019. The ENOC Bureau has also been invited to have a more active role before CoE political bodies such as the Committee of Ministers or the Parliamentary Assembly where the importance of CoE instruments in the children’s rights area has yet to be demonstrated. The 2nd Bureau meeting for 2018 will take place on 18-19 March 2018 in Brussels (Belgium) where the ENOC Bureau is planning to meet with EU authorities and other stakeholders.